NAS is connected by Wired Ethernet. 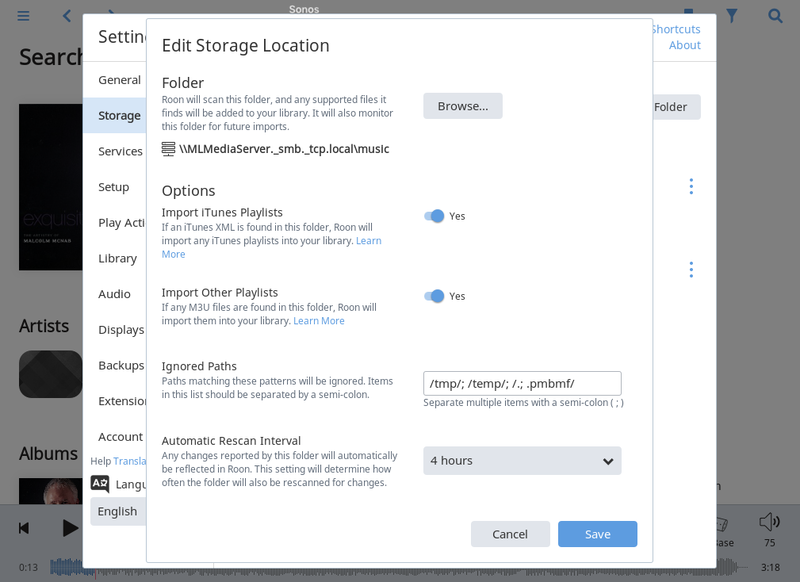 Roon purports to import iTunes playlists, but imports only 33 or 64 playlists. Of the ones “imported,” the majority have 1 to 4 tracks each; and none has all of the tracks actually assigned to the respective playlist. After the most recent Roon sync completed, it shows only 31 playlists (rather than the prior 33); though no changes were made in iTunes. Still, none are complete. Thanks for contacting us regarding this issue. Is the .XML file saved in the top-level folder next to the media files or is the XML saved in a different directory? Do the Watched Folder locations have the “Import iTunes Content” toggle set to yes? 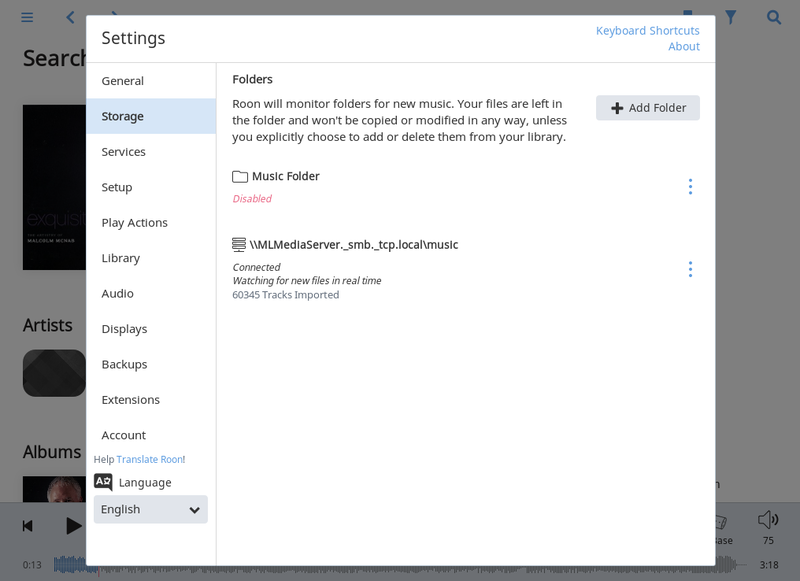 Are you sharing the iTunes library XML file from iTunes itself? 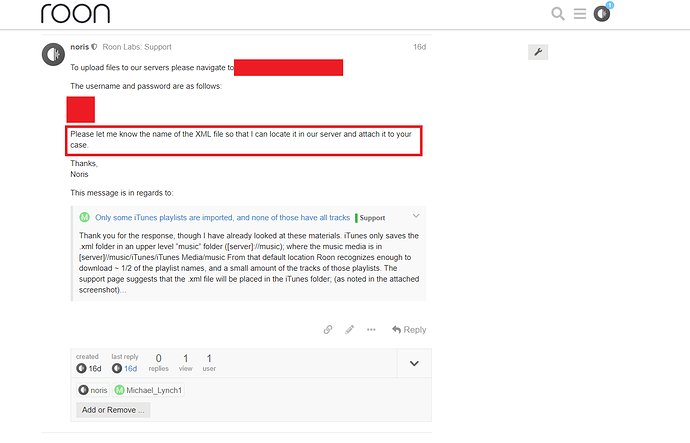 These aspects and more are covered in our iTunes Documentation (https://kb.roonlabs.com/iTunes), please take a look to see if you have configured it this way and if things are still not working after reviewing the documentation, then some screenshots of the issue would be helpful, you can use these instructions to upload screenshots to Community. Thank you for the response, though I have already looked at these materials. From that default location Roon recognizes enough to download ~ 1/2 of the playlist names, and a small amount of the tracks of those playlists. The support page suggests that the .xml file will be placed in the iTunes folder; (as noted in the attached screenshot) though that is not the case on any of my Macs (all of which put the .xml file in the “music” folder, which also contains the itunes/iTunes Media folders). Nevertheless, I have tried placing the .xml folder in the iTunes folder and rescanning; and then in the iTunes Media folder and rescanning. In both cases, the result was no playlists being found. So as a result, I placed the .xml file back in the default "music” folder (containing iTunes/iTunes Media/music). All of my music files are in the folder: iTunes/iTunes Media/music Similarly the .xml (now back in the same upper level “music” folder as “iTunes is being updated. Thanks for letting me know that info. I wonder if the ._smb._tcp.local path could have an impact here on Roon finding those media files. Can you please send me the .XML file associated with your iTunes library? I will private message you instructions shortly. This is not support. I uploaded the .xml file on March 26, and have heard nothing more. I have reinstalled Roon; and changed the path, removing the identified ._smb._tcp.local" path. Nothing has changed with the playlists. Since we are not automatically notified when users upload file to the diagnostics server, we have to manually check and since I had not heard back from you, I was not able to locate the XML file. Now that I have confirmation from you that the XML file has indeed been uploaded, I have located it and have created a case for you with the QA team. I appreciate your patience until we look into this matter further on our end. I appreciate your patience here while we have been looking into this issue, I just received the completed analysis report from QA. 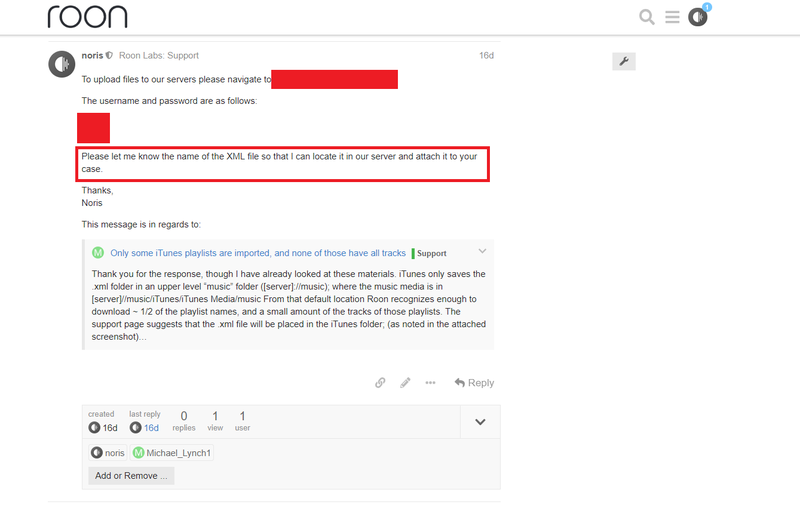 They have spent a considerable amount of time analyzing the diagnostics data, and it appears that the reason why only some iTunes playlists are being imported is because Roon is unable to do a complete scan of your library contents. Can you please let me know if you are able to see these albums in your Roon library when you search for them? What happens if you move these folders from your watched media locations? As in if you perform a Cut (or Copy + delete) function on these two folders and move them to your desktop (for example)? Do you get any error messages from your OSX system?